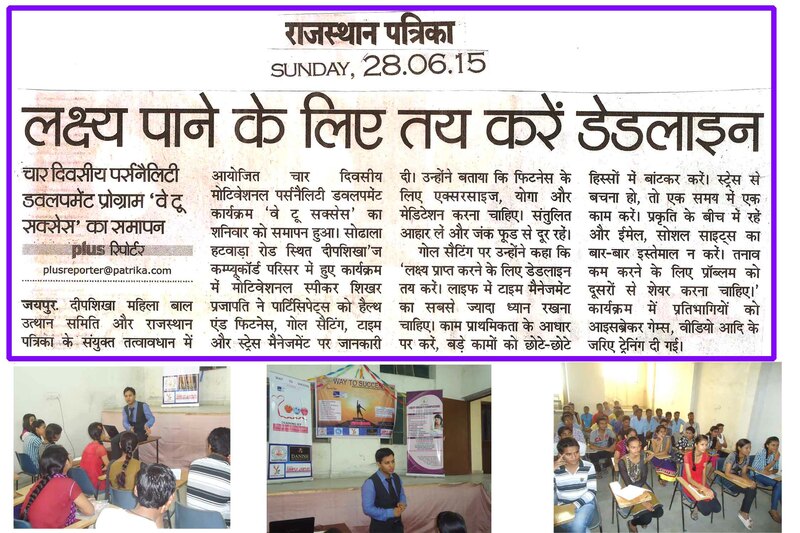 News in leading newspapers of Motivational Personality Development Program “Way To Success” organized from 24 June to 28 June,2015 at Deepshikha’s Compucord, Hatwara Road, Sodala, Jaipur. 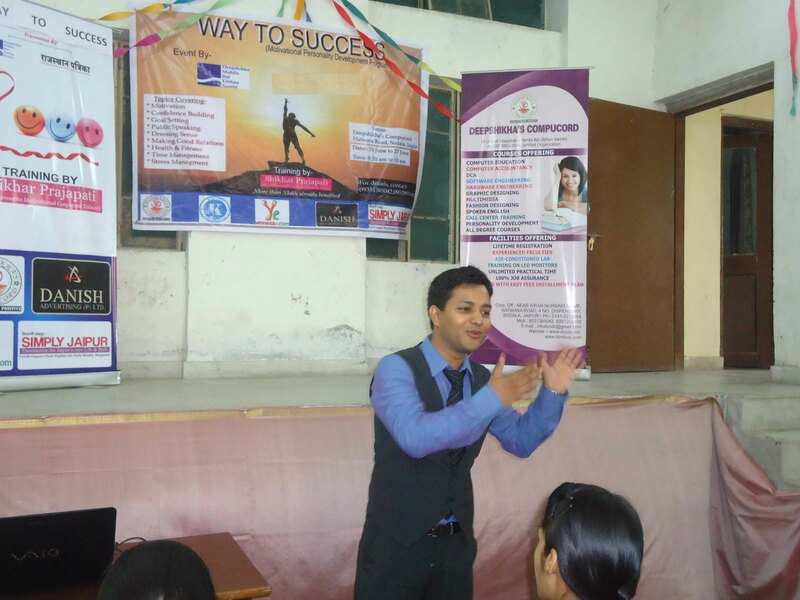 Training given by India’s favourite Motivational Speaker & Corporate Trainer– Shikhar Prajapati. Motivation, Confidence Building, Public Speaking, Body Language, Making Good Relations, Improving Communication Skills,Goal Setting, Time Management & Stress Management. · Danish Advertising Pvt. 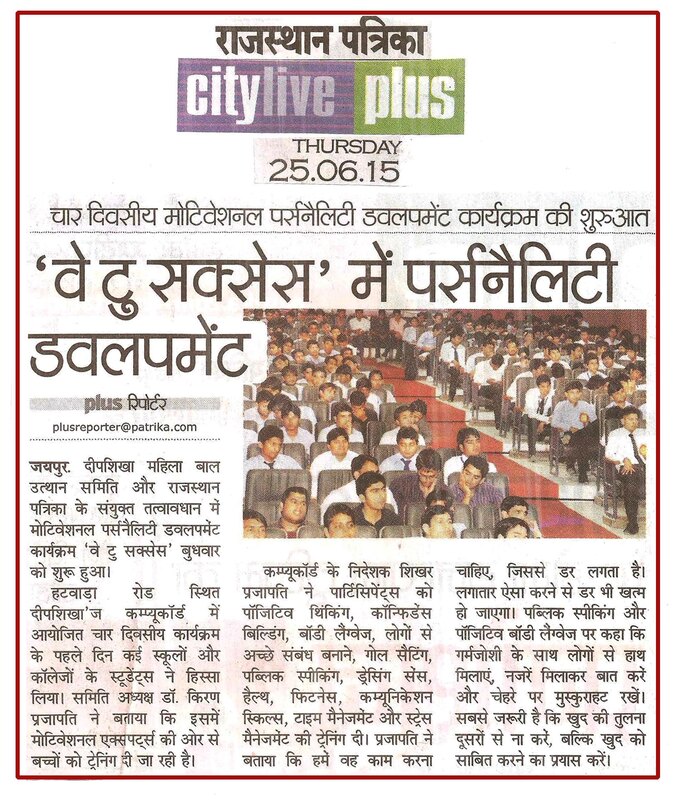 Ltd.
News Coverage in leading Newspaper- Rajasthan Patrika of “Way To Success” Motivational Personality Development Program.Training by India’s favouriteMotivational Speaker and Corporate Trainer– Shikhar Prajapati. Already trained more than 3 lakh people. 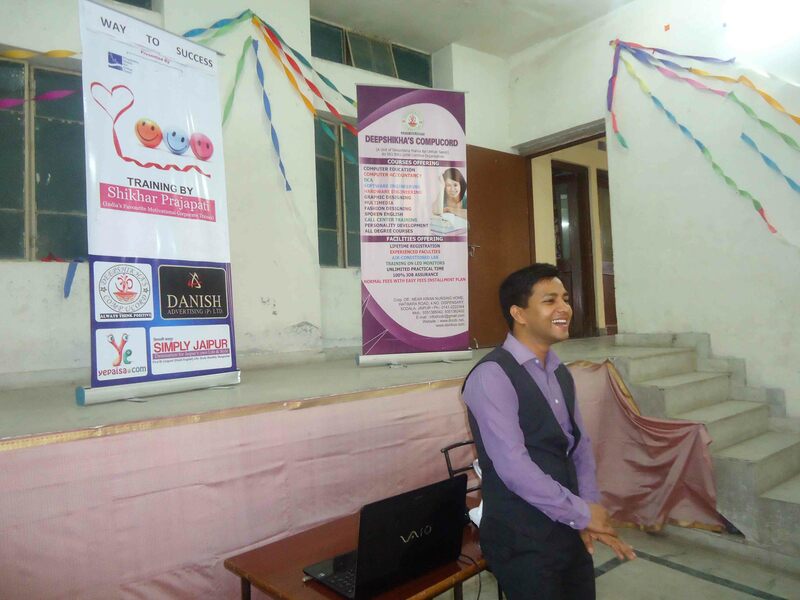 Training organized for youth from colleges and schools. Thanks to leading Newspaper- Rajasthan Patrika for publishing News of “Way To Success” Motivational Personality Development Program . 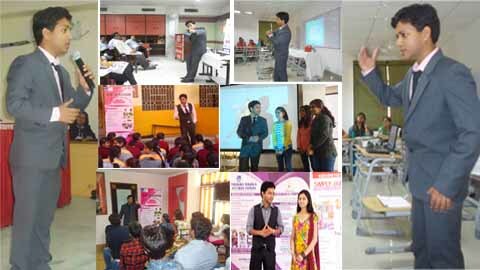 Training organized for youth from colleges and schools.Training by India’s favourite Motivational Speaker and Corporate Trainer- Shikhar Prajapati. 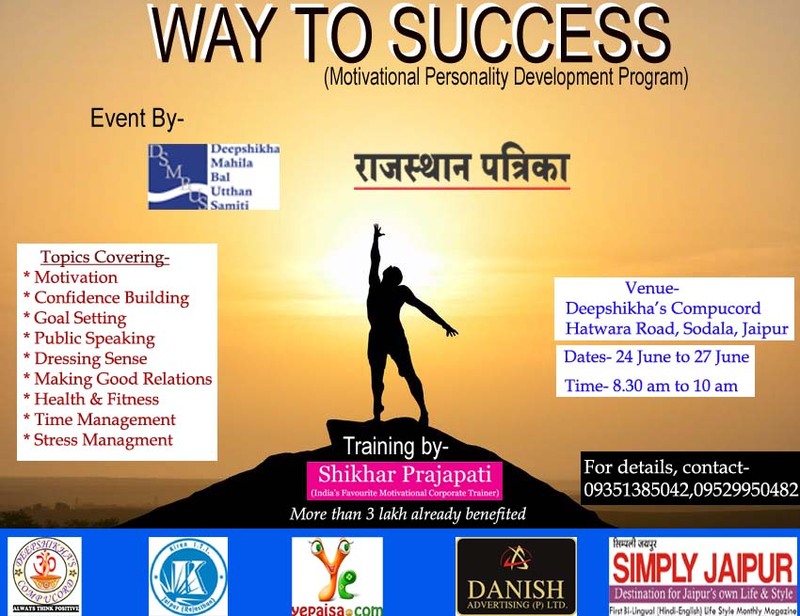 4 Days Motivational Personality Development Program by India’s Favourite Motivational Speaker and Corporate Trainer- Shikhar Prajapati. Training Program from 24 June,2015 to 27 June,2015. 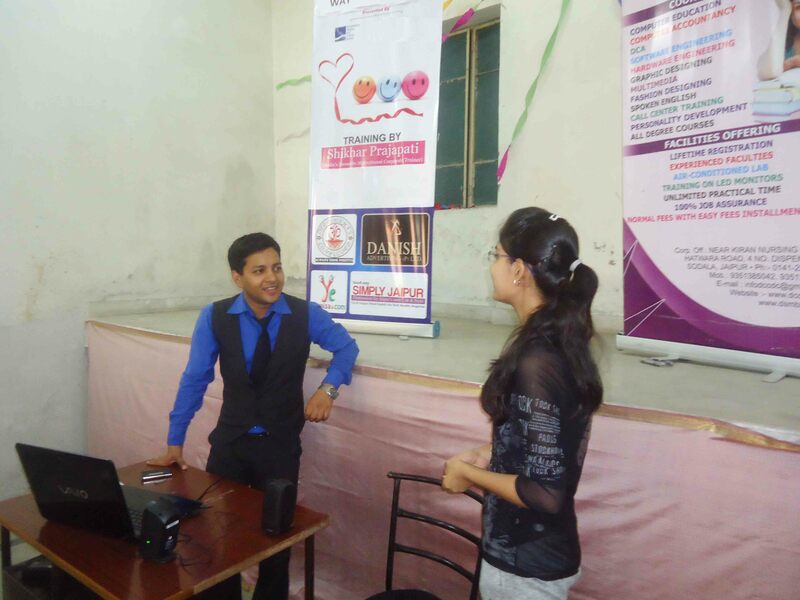 Venue- Deepshikha’s Compucord, Hatwara Road, Sodala, Jaipur. Time- 8.30 am to 10 am. 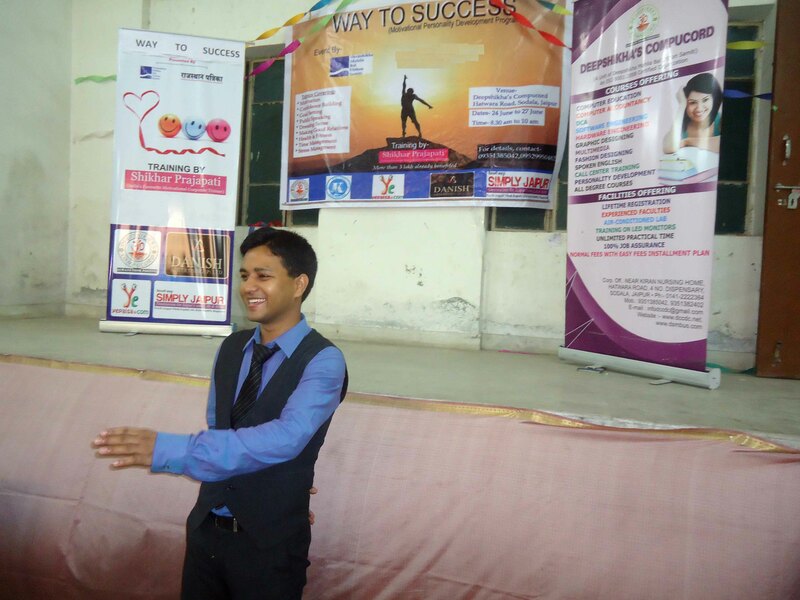 India’s favourite Motivational Speaker & Corporate Trainer- Shikhar Prajapati. 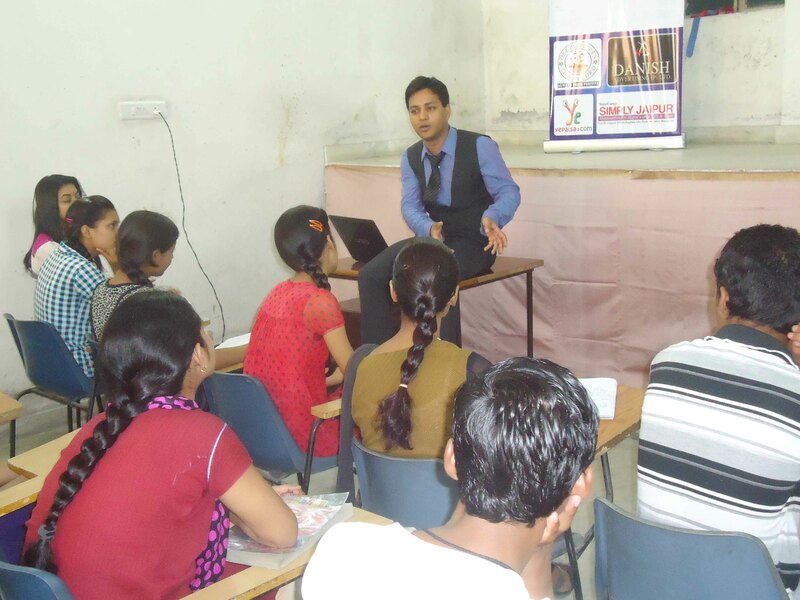 Successfully trained more than 3 lakh people of all age group.